Welcome to the Kuribo's Shoe Podcast. This is a podcast about all things Nintendo. Thanks for listening! On this week's very special episode, we have hit 1 year of doing this show! Join us as we announce our giveaway winner, talk about the last year, and also talk about what to expect in season 2 of the show. You can now email us questions! Email us at kuribosshoepodcast@gmail.com and we might just read your question on a future episode! You can visit our show page here You can subscribe on iTunes or Apple Podcasts here You can subscribe on Google Podcasts here You can listen on Spotify here We are also on Pocket Casts on iOS & Android here We are on Overcast as well here You can find us on Twitter here You can find us on Instagram here If you enjoy the show, please rate us on the Apple Podcasts app & the Google Podcasts app! Thank you for listening! On this week's episode, we give our first impressions on Yoshi's Crafted World! You can now email us questions! Email us at kuribosshoepodcast@gmail.com and we might just read your question on a future episode! You can visit our show page here You can subscribe on iTunes or Apple Podcasts here You can subscribe on Google Podcasts here You can listen on Spotify here We are also on Pocket Casts on iOS & Android here We are on Overcast as well here You can find us on Twitter here You can find us on Instagram here If you enjoy the show, please rate us on the Apple Podcasts app & the Google Podcasts app! Thank you for listening! On this week’s episode, we talk all about the Nindies Direct from this week as well as announce our first giveaway! You can watch the Nindies Showcase here You can watch the Untitled Goose Game footage here You can now email us questions! Email us at kuribosshoepodcast@gmail.com and we might just read your question on a future episode! You can visit our show page here You can subscribe on iTunes or Apple Podcasts here You can subscribe on Google Podcasts here You can listen on Spotify here We are also on Pocket Casts on iOS & Android here We are on Overcast as well here You can find us on Twitter here You can find us on Instagram here If you enjoy the show, please rate us on the Apple Podcasts app & the Google Podcasts app! Thank you for listening! In this week's episode: We talk about our favorite Nintendo collectibles! You can now email us questions! Email us at kuribosshoepodcast@gmail.com and we might just read your question on a future episode! You can visit our show page here You can subscribe on iTunes or Apple Podcasts here You can subscribe on Google Podcasts here You can listen on Spotify here We are also on Pocket Casts on iOS & Android here We are on Overcast as well here You can find us on Twitter here You can find us on Instagram here If you enjoy the show, please rate us on the Apple Podcasts app & the Google Podcasts app! Thank you for listening! In this week's episode: We talk all about Mario Kart 8 Deluxe! You can now email us questions! Email us at kuribosshoepodcast@gmail.com and we might just read your question on a future episode! You can visit our show page here You can subscribe on iTunes or Apple Podcasts here You can subscribe on Google Podcasts here You can listen on Spotify here We are also on Pocket Casts on iOS & Android here We are on Overcast as well here You can find us on Twitter here You can find us on Instagram here If you enjoy the show, please rate us on the Apple Podcasts app & the Google Podcasts app! Thank you for listening! In this week's episode: We talk all about Pokemon Sword & Pokemon Shield, the two Gen 8 Pokemon titles that were just revealed! You can now email us questions! Email us at kuribosshoepodcast@gmail.com and we might just read your question on a future episode! 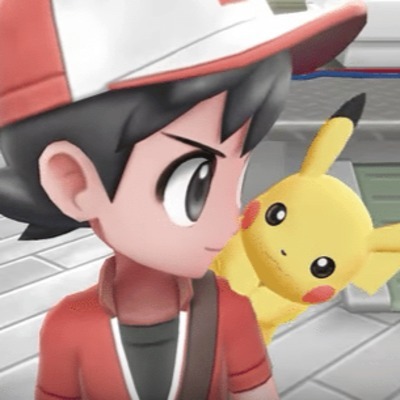 You can check out the official site for Pokemon Sword & Shield here You can visit our show page here You can subscribe on iTunes or Apple Podcasts here You can subscribe on Google Podcasts here You can listen on Spotify here We are also on Pocket Casts on iOS & Android here We are on Overcast as well here You can find us on Twitter here You can find us on Instagram here If you enjoy the show, please rate us on the Apple Podcasts app & the Google Podcasts app! Thank you for listening! 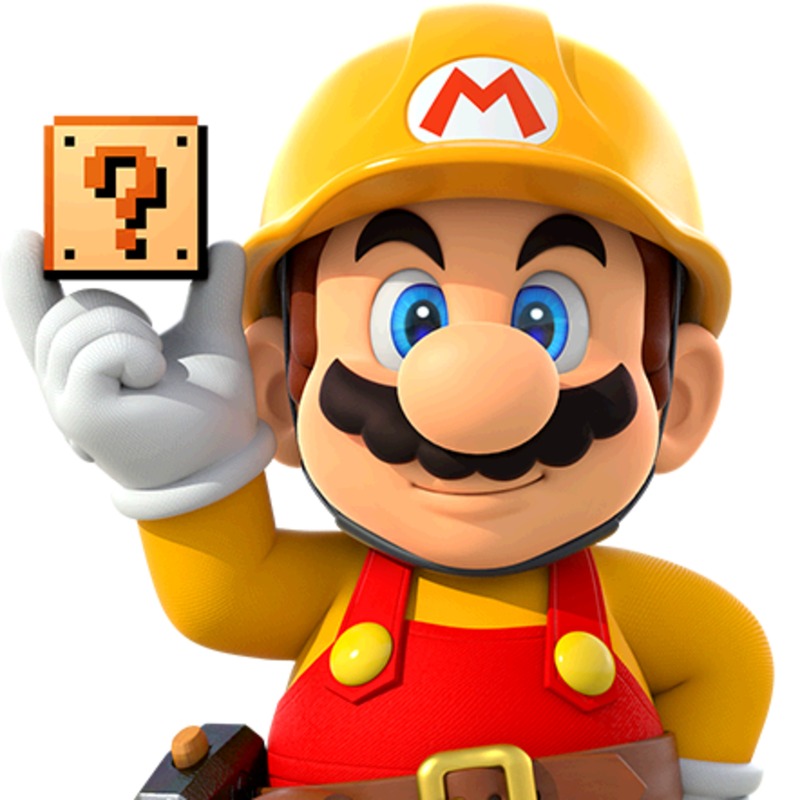 In this week's episode: We talk all about Super Mario Maker. We talk about the history of the game as well as both the Wii U & 3DS versions of the game. You can now email us questions! Email us at kuribosshoepodcast@gmail.com and we might just read your question on a future episode! You can visit our show page here You can subscribe on iTunes or Apple Podcasts here You can subscribe on Google Podcasts here You can listen on Spotify here We are also on Pocket Casts on iOS & Android here We are on Overcast as well here You can find us on Twitter here You can find us on Instagram here If you enjoy the show, please rate us on the Apple Podcasts app & the Google Podcasts app! Thank you for listening! In this week's episode: We are covering all of the highlights from this week's Nintendo Direct! You can now email us questions! Email us at kuribosshoepodcast@gmail.com and we might just read your question on a future episode! You can watch the Direct here You can visit our show page here You can subscribe on iTunes or Apple Podcasts here You can subscribe on Google Podcasts here You can listen on Spotify here We are also on Pocket Casts on iOS & Android here We are on Overcast as well here You can find us on Twitter here You can find us on Instagram here If you enjoy the show, please rate us on the Apple Podcasts app & the Google Podcasts app! Thank you for listening! In this week's episode: We are covering all things Amiibo! From the origins of this line all the way to present day and what we hope for the future. You don't want to miss this one! You can now email us questions! Email us at kuribosshoepodcast@gmail.com and we might just read your question on a future episode! You can visit our show page here You can subscribe on iTunes or Apple Podcasts here You can subscribe on Google Podcasts here You can listen on Spotify here We are also on Pocket Casts on iOS & Android here We are on Overcast as well here You can find us on Twitter here You can find us on Instagram here If you enjoy the show, please rate us on the Apple Podcasts app & the Google Podcasts app! Thank you for listening! In this week's episode: We cover a ton of Nintendo news as well as talk about some of our recent Nintendo pickups! 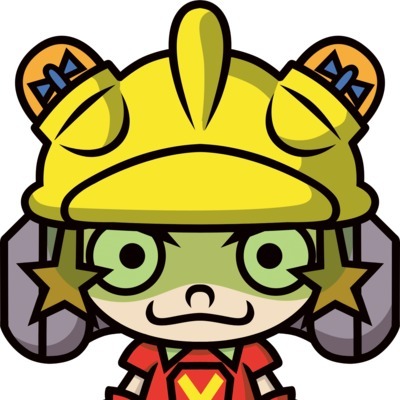 You can visit Cooper Cosmic's new YouTube channel here: https://www.youtube.com/channel/UChJ1JaxnA6QhFMbXul0hOWQ You can visit our show page here: anchor.fm/kuribosshoepodcast You can subscribe on iTunes or Apple Podcasts here: itunes.apple.com/us/podcast/kuribos-shoe-podcast/id1370389497?mt=2 You can subscribe on Google Podcasts here: www.google.com/podcasts?feed=aHR0cHM6Ly9hbmNob3IuZm0vcy8xNDhmNzNjL3BvZGNhc3QvcnNz You can listen on Spotify here: open.spotify.com/show/6kmTTc8XUYtYJgBWNPJmaD We are also on Pocket Casts on iOS & Android: pca.st/t0pS We are on Overcast as well: overcast.fm/itunes1370389497/kuribos-shoe-podcast You can find us on Twitter here: twitter.com/KuribosShoePod You can find us on Instagram here: www.instagram.com/kuribosshoepodcast/ If you enjoy the show, please rate us on the Apple Podcasts app & the Google Podcasts app! Thank you for listening! In this week's episode: We talk about our Top 5 Most Wanted Nintendo Collectibles! You can learn more about the Splatoon 2 & Smash Bros. 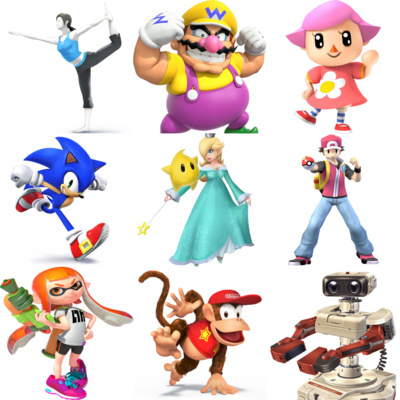 Ultimate Tournaments here: https://www.nintendo.com/switch/events You can visit our show page here: anchor.fm/kuribosshoepodcast You can subscribe on iTunes or Apple Podcasts here: itunes.apple.com/us/podcast/kuribos-shoe-podcast/id1370389497?mt=2 You can subscribe on Google Podcasts here: www.google.com/podcasts?feed=aHR0cHM6Ly9hbmNob3IuZm0vcy8xNDhmNzNjL3BvZGNhc3QvcnNz You can listen on Spotify here: open.spotify.com/show/6kmTTc8XUYtYJgBWNPJmaD We are also on Pocket Casts on iOS & Android: pca.st/t0pS We are on Overcast as well: overcast.fm/itunes1370389497/kuribos-shoe-podcast You can find us on Twitter here: twitter.com/KuribosShoePod You can find us on Instagram here: www.instagram.com/kuribosshoepodcast/ If you enjoy the show, please rate us on the Apple Podcasts app & the Google Podcasts app! Thank you for listening! 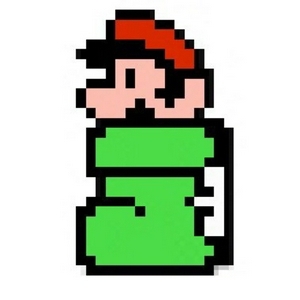 Episode 41: New Super Kuribo Bros. 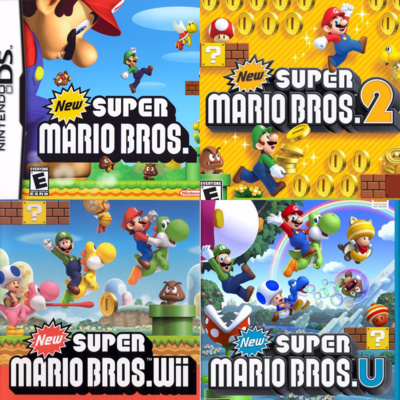 In this week's episode: We talk about the complete history of the New Super Mario Bros. Series! Let'sa Go!! You can visit our show page here: anchor.fm/kuribosshoepodcast You can subscribe on iTunes or Apple Podcasts here: itunes.apple.com/us/podcast/kuribos-shoe-podcast/id1370389497?mt=2 You can subscribe on Google Podcasts here: www.google.com/podcasts?feed=aHR0cHM6Ly9hbmNob3IuZm0vcy8xNDhmNzNjL3BvZGNhc3QvcnNz You can listen on Spotify here: open.spotify.com/show/6kmTTc8XUYtYJgBWNPJmaD We are also on Pocket Casts on iOS & Android: pca.st/t0pS We are on Overcast as well: overcast.fm/itunes1370389497/kuribos-shoe-podcast You can find us on Twitter here: twitter.com/KuribosShoePod You can find us on Instagram here: www.instagram.com/kuribosshoepodcast/ If you enjoy the show, please rate us on the Apple Podcasts app & the Google Podcasts app! Thank you for listening! In this week's episode: We talk about 4 of what we think are forgotten gems on various Nintendo consoles. These are all great games that we think deserve more recognition than they got. All that, plus what we have been playing & the news. You can visit our show page here: anchor.fm/kuribosshoepodcast You can subscribe on iTunes or Apple Podcasts here: itunes.apple.com/us/podcast/kuribos-shoe-podcast/id1370389497?mt=2 You can subscribe on Google Podcasts here: www.google.com/podcasts?feed=aHR0cHM6Ly9hbmNob3IuZm0vcy8xNDhmNzNjL3BvZGNhc3QvcnNz You can listen on Spotify here: open.spotify.com/show/6kmTTc8XUYtYJgBWNPJmaD We are also on Pocket Casts on iOS & Android: pca.st/t0pS We are on Overcast as well: overcast.fm/itunes1370389497/kuribos-shoe-podcast You can find us on Twitter here: twitter.com/KuribosShoePod You can find us on Instagram here: www.instagram.com/kuribosshoepodcast/ If you enjoy the show, please rate us on the Apple Podcasts app & the Google Podcasts app! Thank you for listening! In this episode: It's the 2018 Kuribo's Shoe Awards! Chad & I pick the winners and runner-ups for 15 different categories. You can visit our show page here You can subscribe on iTunes or Apple Podcasts here You can subscribe on Google Podcasts here You can listen on Spotify here We are also on Pocket Casts on iOS & Android here We are on Overcast as well You can find us on Twitter here You can find us on Instagram here If you enjoy the show, please rate us on the Apple Podcasts app & the Google Podcasts app! Thank you for listening! 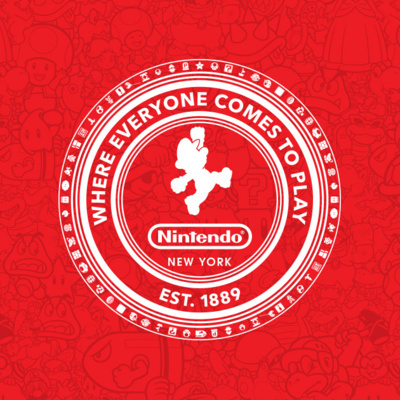 In this episode: We talk all about our Nintendo filled trip to New York City! We discuss the Nintendo NY Store, talk about our shopping hauls, and talk about some great used game shops we found in the city. You can visit our show page here: anchor.fm/kuribosshoepodcast You can subscribe on iTunes or Apple Podcasts here: itunes.apple.com/us/podcast/kuribos-shoe-podcast/id1370389497?mt=2 You can subscribe on Google Podcasts here: www.google.com/podcasts?feed=aHR0cHM6Ly9hbmNob3IuZm0vcy8xNDhmNzNjL3BvZGNhc3QvcnNz You can listen on Spotify here: open.spotify.com/show/6kmTTc8XUYtYJgBWNPJmaD We are also on Pocket Casts on iOS & Android: pca.st/t0pS We are on Overcast as well: overcast.fm/itunes1370389497/kuribos-shoe-podcast You can find us on Twitter here: twitter.com/KuribosShoePod You can find us on Instagram here: www.instagram.com/kuribosshoepodcast/ If you enjoy the show, please rate us on the Apple Podcasts app & the Google Podcasts app! Thank you for listening! In this episode: We talk all about what Nintendo has in store for 2019! We also make some predictions for what we think will come in the New Year. Make sure and listen until the very end for a sneak peak at next week's show. You can visit our show page here: anchor.fm/kuribosshoepodcast You can subscribe on iTunes or Apple Podcasts here: itunes.apple.com/us/podcast/kuribos-shoe-podcast/id1370389497?mt=2 You can subscribe on Google Podcasts here: www.google.com/podcasts?feed=aHR0cHM6Ly9hbmNob3IuZm0vcy8xNDhmNzNjL3BvZGNhc3QvcnNz You can listen on Spotify here: open.spotify.com/show/6kmTTc8XUYtYJgBWNPJmaD We are also on Pocket Casts on iOS & Android: pca.st/t0pS We are on Overcast as well: overcast.fm/itunes1370389497/kuribos-shoe-podcast You can find us on Twitter here: twitter.com/KuribosShoePod You can find us on Instagram here: www.instagram.com/kuribosshoepodcast/ If you enjoy the show, please rate us on the Apple Podcasts app & the Google Podcasts app! Thank you for listening! Episode 36: Good Hang / Tough Hang: Smash Bros. Edition! In this episode: We bring back the game Good Hang / Tough Hang, from all the way back in episode 3, and make it a Smash Bros. Edition! You can visit our show page here: anchor.fm/kuribosshoepodcast You can subscribe on iTunes or Apple Podcasts here: itunes.apple.com/us/podcast/kuribos-shoe-podcast/id1370389497?mt=2 You can subscribe on Google Podcasts here: www.google.com/podcasts?feed=aHR0cHM6Ly9hbmNob3IuZm0vcy8xNDhmNzNjL3BvZGNhc3QvcnNz You can listen on Spotify here: open.spotify.com/show/6kmTTc8XUYtYJgBWNPJmaD We are also on Pocket Casts on iOS & Android: pca.st/t0pS We are on Overcast as well: overcast.fm/itunes1370389497/kuribos-shoe-podcast You can find us on Twitter here: twitter.com/KuribosShoePod You can find us on Instagram here: www.instagram.com/kuribosshoepodcast/ If you enjoy the show, please rate us on the Apple Podcasts app & the Google Podcasts app! Thank you for listening! Episode 35: Super Smash Bros. Ultimate is Here! In this episode: We talk all about our first 24 hrs. with Super Smash Bros. Ultimate! This is a must listen if you are a Smash Bros. fan. You can learn more about the 8BitDo GBros. Adapter here: http://www.8bitdo.com/gbros/ You can order your very own Flip Grip here: https://www.fangamer.com/products/flip-grip You can visit our show page here: anchor.fm/kuribosshoepodcast You can subscribe on iTunes or Apple Podcasts here: itunes.apple.com/us/podcast/kuribos-shoe-podcast/id1370389497?mt=2 You can subscribe on Google Podcasts here: www.google.com/podcasts?feed=aHR0cHM6Ly9hbmNob3IuZm0vcy8xNDhmNzNjL3BvZGNhc3QvcnNz You can listen on Spotify here: open.spotify.com/show/6kmTTc8XUYtYJgBWNPJmaD We are also on Pocket Casts on iOS & Android: pca.st/t0pS We are on Overcast as well: overcast.fm/itunes1370389497/kuribos-shoe-podcast You can find us on Twitter here: twitter.com/KuribosShoePod You can find us on Instagram here: www.instagram.com/kuribosshoepodcast/ If you enjoy the show, please rate us on the Apple Podcasts app & the Google Podcasts app! Thank you for listening! Episode 34: Ice Ice Baby! As winter is upon us, we decided to talk about our favorite winter levels on this week's episode! Plus, we round up the latest news and talk about what we have been playing. You can visit our show page here: anchor.fm/kuribosshoepodcast You can subscribe on iTunes or Apple Podcasts here: itunes.apple.com/us/podcast/kuribos-shoe-podcast/id1370389497?mt=2 You can subscribe on Google Podcasts here: www.google.com/podcasts?feed=aHR0cHM6Ly9hbmNob3IuZm0vcy8xNDhmNzNjL3BvZGNhc3QvcnNz You can listen on Spotify here: open.spotify.com/show/6kmTTc8XUYtYJgBWNPJmaD We are also on Pocket Casts on iOS & Android: pca.st/t0pS We are on Overcast as well: overcast.fm/itunes1370389497/kuribos-shoe-podcast You can find us on Twitter here: twitter.com/KuribosShoePod You can find us on Instagram here: www.instagram.com/kuribosshoepodcast/ If you enjoy the show, please rate us on the Apple Podcasts app & the Google Podcasts app! Thank you for listening! On this week's episode: We dig deep into Pokémon Let's Go. Please visit our show page: anchor.fm/kuribosshoepodcast Please subscribe on iTunes or Apple Podcasts: itunes.apple.com/us/podcast/kuribos-shoe-podcast/id1370389497?mt=2 We are on Google Podcasts: www.google.com/podcasts?feed=aHR0cHM6Ly9hbmNob3IuZm0vcy8xNDhmNzNjL3BvZGNhc3QvcnNz We are on Spotify: open.spotify.com/show/6kmTTc8XUYtYJgBWNPJmaD We are on Pocket Casts on iOS & Android: pca.st/t0pS We are on Overcast: overcast.fm/itunes1370389497/kuribos-shoe-podcast Please follow us on Twitter: twitter.com/KuribosShoePod Please follow us on Instagram: www.instagram.com/kuribosshoepodcast/ If you enjoy the show, please rate us on the Apple Podcasts App & the Google Podcasts App! Episode 32: Pokémon Let's Go Is Here! On this week's episode: Pokémon Let's Go is finally here! We talk all about our first few hours with the game, as well as talk about the news and what we have been playing! You can find the pictures of Chad's surprise purchase on our Instagram page here: www.instagram.com/kuribosshoepodcast/ Please visit our show page: anchor.fm/kuribosshoepodcast Please subscribe on iTunes or Apple Podcasts: itunes.apple.com/us/podcast/kuribos-shoe-podcast/id1370389497?mt=2 We are on Google Podcasts: www.google.com/podcasts?feed=aHR0cHM6Ly9hbmNob3IuZm0vcy8xNDhmNzNjL3BvZGNhc3QvcnNz We are on Spotify: open.spotify.com/show/6kmTTc8XUYtYJgBWNPJmaD We are on Pocket Casts on iOS & Android: pca.st/t0pS We are on Overcast: overcast.fm/itunes1370389497/kuribos-shoe-podcast Please follow us on Twitter: twitter.com/KuribosShoePod Please follow us on Instagram: www.instagram.com/kuribosshoepodcast/ If you enjoy the show, please rate us on the Apple Podcasts App & the Google Podcasts App! On this week's episode: We talk through a bunch of Nintendo news and then hop into a time machine and go all the way back to 1998, the year the Pokémon craze started in North America. 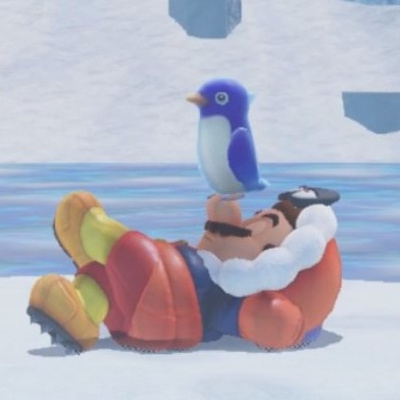 You can find out more about the Nintendo Holiday Experience here: https://happyholidays.nintendo.com/holiday-experience/ Please visit our show page: anchor.fm/kuribosshoepodcast Please subscribe on iTunes or Apple Podcasts: itunes.apple.com/us/podcast/kuribos-shoe-podcast/id1370389497?mt=2 We are on Google Podcasts: www.google.com/podcasts?feed=aHR0cHM6Ly9hbmNob3IuZm0vcy8xNDhmNzNjL3BvZGNhc3QvcnNz We are on Spotify: open.spotify.com/show/6kmTTc8XUYtYJgBWNPJmaD We are on Pocket Casts on iOS & Android: pca.st/t0pS We are on Overcast: overcast.fm/itunes1370389497/kuribos-shoe-podcast Please follow us on Twitter: twitter.com/KuribosShoePod Please follow us on Instagram: www.instagram.com/kuribosshoepodcast/ If you enjoy the show, please rate us on the Apple Podcasts App & the Google Podcasts App! Episode 30: The Final Smash Direct! On this week's episode: We talk about Nintendo's 2nd quarter earnings before getting into the latest Super Smash Bros. Ultimate Direct! You can watch the Smash Direct here: https://www.youtube.com/watch?v=fccgHnBQ0YM Please visit our show page: anchor.fm/kuribosshoepodcast Please subscribe on iTunes or Apple Podcasts: itunes.apple.com/us/podcast/kuribos-shoe-podcast/id1370389497?mt=2 We are on Google Podcasts: www.google.com/podcasts?feed=aHR0cHM6Ly9hbmNob3IuZm0vcy8xNDhmNzNjL3BvZGNhc3QvcnNz We are on Spotify: open.spotify.com/show/6kmTTc8XUYtYJgBWNPJmaD We are on Pocket Casts on iOS & Android: pca.st/t0pS We are on Overcast: overcast.fm/itunes1370389497/kuribos-shoe-podcast Please follow us on Twitter: twitter.com/KuribosShoePod Please follow us on Instagram: www.instagram.com/kuribosshoepodcast/ If you enjoy the show, please rate us on the Apple Podcasts App & the Google Podcasts App! Episode 29: We Played Pokémon Let's Go! 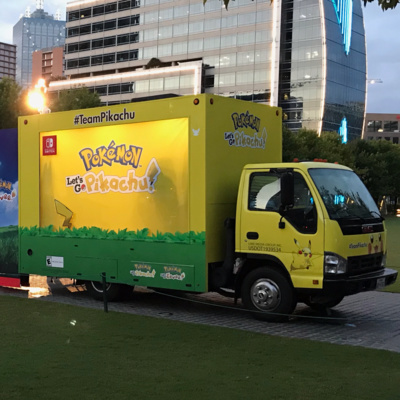 On this week's episode: We talk all about going to the Pokémon Let's Go Road Trip event! You can find the Pokémon Let's Go Road Trip Schedule here: https://www.nintendo.com/switch/events/ The game I couldn't remember the name of was Save Me Mr. Tako: https://nicalis.com/games/savememrtako Please visit our show page: anchor.fm/kuribosshoepodcast Please subscribe on iTunes or Apple Podcasts: itunes.apple.com/us/podcast/kuribos-shoe-podcast/id1370389497?mt=2 We are on Google Podcasts: www.google.com/podcasts?feed=aHR0cHM6Ly9hbmNob3IuZm0vcy8xNDhmNzNjL3BvZGNhc3QvcnNz We are on Spotify: open.spotify.com/show/6kmTTc8XUYtYJgBWNPJmaD We are on Pocket Casts on iOS & Android: pca.st/t0pS We are on Overcast: overcast.fm/itunes1370389497/kuribos-shoe-podcast Please follow us on Twitter: twitter.com/KuribosShoePod Please follow us on Instagram: www.instagram.com/kuribosshoepodcast/ If you enjoy the show, please rate us on the Apple Podcasts App & the Google Podcasts App! On this week's episode: We talk about what we have been playing as well as our impressions of Luigi's Mansion on 3DS & Starlink: Battle For Atlas on the Nintendo Switch. Please visit our show page: anchor.fm/kuribosshoepodcast Please subscribe on iTunes or Apple Podcasts: itunes.apple.com/us/podcast/kuribos-shoe-podcast/id1370389497?mt=2 We are on Google Podcasts: www.google.com/podcasts?feed=aHR0cHM6Ly9hbmNob3IuZm0vcy8xNDhmNzNjL3BvZGNhc3QvcnNz We are on Spotify: open.spotify.com/show/6kmTTc8XUYtYJgBWNPJmaD We are on Pocket Casts on iOS & Android: pca.st/t0pS We are on Overcast: overcast.fm/itunes1370389497/kuribos-shoe-podcast Please follow us on Twitter: twitter.com/KuribosShoePod Please follow us on Instagram: www.instagram.com/kuribosshoepodcast/ If you enjoy the show, please rate us on the Apple Podcasts App & the Google Podcasts App! 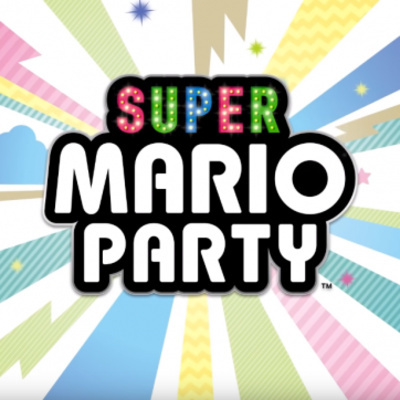 On this week's episode: We talk about what we have been playing, have a character spotlight, and talk about our first impressions of Super Mario Party! Please visit our show page: anchor.fm/kuribosshoepodcast Please subscribe on iTunes or Apple Podcasts: itunes.apple.com/us/podcast/kuribos-shoe-podcast/id1370389497?mt=2 We are on Google Podcasts: www.google.com/podcasts?feed=aHR0cHM6Ly9hbmNob3IuZm0vcy8xNDhmNzNjL3BvZGNhc3QvcnNz We are on Spotify: open.spotify.com/show/6kmTTc8XUYtYJgBWNPJmaD We are on Pocket Casts on iOS & Android: pca.st/t0pS We are on Overcast: overcast.fm/itunes1370389497/kuribos-shoe-podcast Please follow us on Twitter: twitter.com/KuribosShoePod Please follow us on Instagram: www.instagram.com/kuribosshoepodcast/ If you enjoy the show, please rate us on the Apple Podcasts App & the Google Podcasts App! On this week's episode, we are joined by a very special guest, our friend Triston, for the first 3 man podcast in Kuribo Shoe history! Plus, we talk news & our earliest Nintendo memories/consoles in our main topic: Nintendo Beginnings. You can find out more about Best Buy's Smash Bros Ultimate Midnight Release here: https://www.bestbuy.com/site/video-games/best-buy-gaming-events/pcmcat183100050001.c?id=pcmcat183100050001 You can find out about the Pokemon Let's Go Road Trip here: https://www.nintendo.com/switch/events/ Please visit our show page: anchor.fm/kuribosshoepodcast Please subscribe on iTunes or Apple Podcasts: itunes.apple.com/us/podcast/kuribos-shoe-podcast/id1370389497?mt=2 We are on Google Podcasts: www.google.com/podcasts?feed=aHR0cHM6Ly9hbmNob3IuZm0vcy8xNDhmNzNjL3BvZGNhc3QvcnNz We are on Spotify: open.spotify.com/show/6kmTTc8XUYtYJgBWNPJmaD We are on Pocket Casts on iOS & Android: pca.st/t0pS We are on Overcast: overcast.fm/itunes1370389497/kuribos-shoe-podcast Please follow us on Twitter: twitter.com/KuribosShoePod Please follow us on Instagram: www.instagram.com/kuribosshoepodcast/ If you enjoy the show, please rate us on the Apple Podcasts App & the Google Podcasts App! Episode 25: We Played Super Smash Bros. Ultimate! On this week's episode, we talk what we've been playing, news, & lastly about our experience at the Super Smash Bros. Ultimate Demo Event! Please visit our show page: anchor.fm/kuribosshoepodcast Please subscribe on iTunes or Apple Podcasts: itunes.apple.com/us/podcast/kuribos-shoe-podcast/id1370389497?mt=2 We are on Google Podcasts: www.google.com/podcasts?feed=aHR0cHM6Ly9hbmNob3IuZm0vcy8xNDhmNzNjL3BvZGNhc3QvcnNz We are on Spotify: open.spotify.com/show/6kmTTc8XUYtYJgBWNPJmaD We are on Pocket Casts on iOS & Android: pca.st/t0pS We are on Overcast: overcast.fm/itunes1370389497/kuribos-shoe-podcast Please follow us on Twitter: twitter.com/KuribosShoePod Please follow us on Instagram: www.instagram.com/kuribosshoepodcast/ If you enjoy the show, please rate us on the Apple Podcasts App & the Google Podcasts App! 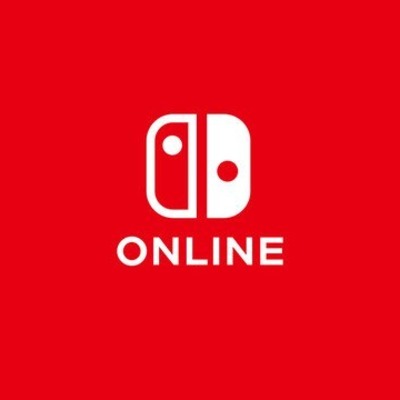 On this week's episode, we talk all about Nintendo Switch Online, Nintendo's new paid online service for the Nintendo Switch. Please visit our show page: anchor.fm/kuribosshoepodcast Please subscribe on iTunes or Apple Podcasts: itunes.apple.com/us/podcast/kuribos-shoe-podcast/id1370389497?mt=2 We are on Google Podcasts: www.google.com/podcasts?feed=aHR0cHM6Ly9hbmNob3IuZm0vcy8xNDhmNzNjL3BvZGNhc3QvcnNz We are on Spotify: open.spotify.com/show/6kmTTc8XUYtYJgBWNPJmaD We are on Pocket Casts on iOS & Android: pca.st/t0pS We are on Overcast: overcast.fm/itunes1370389497/kuribos-shoe-podcast Please follow us on Twitter: twitter.com/KuribosShoePod Please follow us on Instagram: www.instagram.com/kuribosshoepodcast/ If you enjoy the show, please rate us on the Apple Podcasts App & the Google Podcasts App! On this week's episode, we talk excitedly all about Nintendo's latest Direct! 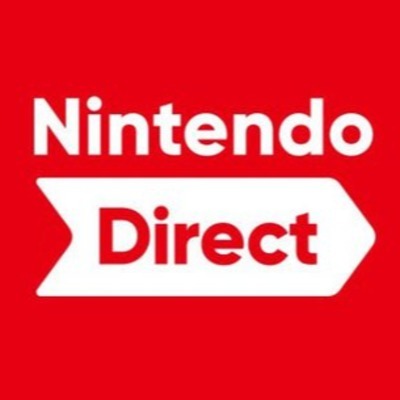 You can watch the Nintendo Direct here: https://youtu.be/CRuHg1dv8MI Please visit our show page: anchor.fm/kuribosshoepodcast Please subscribe on iTunes or Apple Podcasts: itunes.apple.com/us/podcast/kuribos-shoe-podcast/id1370389497?mt=2 We are on Google Podcasts: www.google.com/podcasts?feed=aHR0cHM6Ly9hbmNob3IuZm0vcy8xNDhmNzNjL3BvZGNhc3QvcnNz We are on Spotify: open.spotify.com/show/6kmTTc8XUYtYJgBWNPJmaD We are on Pocket Casts on iOS & Android: pca.st/t0pS We are on Overcast: overcast.fm/itunes1370389497/kuribos-shoe-podcast Please follow us on Twitter: twitter.com/KuribosShoePod Please follow us on Instagram: www.instagram.com/kuribosshoepodcast/ If you enjoy the show, please rate us on the Apple Podcasts App & the Google Podcasts App! 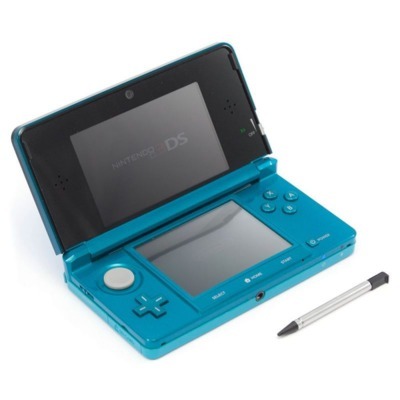 On this week's episode, we talk about our top 5 favorite 3DS games! 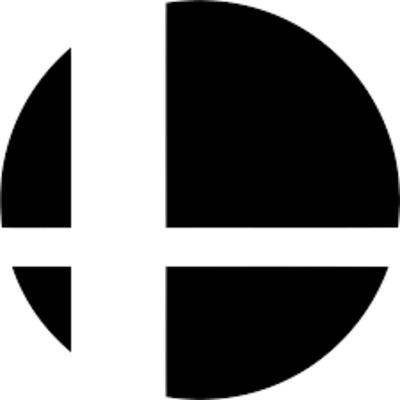 You can learn more about the Super Smash Bros. Ultimate Best Buy Demo Event here: https://www.bestbuy.com/site/clp-video-games/super-smash-bros-ultimate-event/pcmcat1534188901228.c?id=pcmcat1534188901228 Please visit our show page: anchor.fm/kuribosshoepodcast Please subscribe on iTunes or Apple Podcasts: itunes.apple.com/us/podcast/kuribos-shoe-podcast/id1370389497?mt=2 We are on Google Podcasts: www.google.com/podcasts?feed=aHR0cHM6Ly9hbmNob3IuZm0vcy8xNDhmNzNjL3BvZGNhc3QvcnNz We are on Spotify: open.spotify.com/show/6kmTTc8XUYtYJgBWNPJmaD We are on Pocket Casts on iOS & Android: pca.st/t0pS We are on Overcast: overcast.fm/itunes1370389497/kuribos-shoe-podcast Please follow us on Twitter: twitter.com/KuribosShoePod Please follow us on Instagram: www.instagram.com/kuribosshoepodcast/ If you enjoy the show, please rate us on the Apple Podcasts App & the Google Podcasts App! On this week's episode, we get caught up on the news, have a character spotlight, & talk Nintendo Nindies! 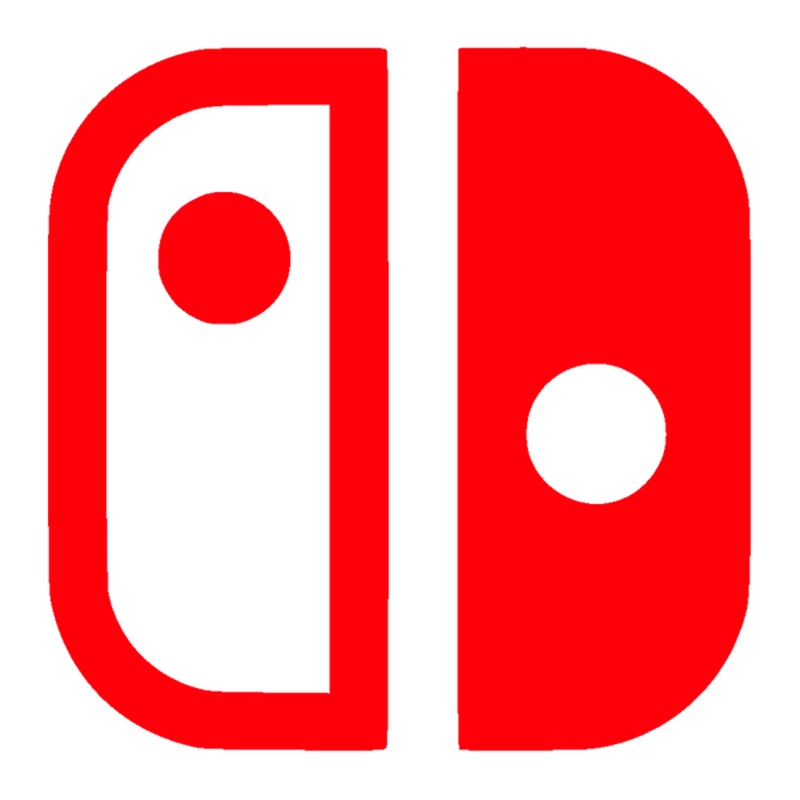 You can watch the Nintendo Switch on the Spot commercial here: https://youtu.be/mQBsct8Xp2Q You can watch the Untitled Goose Game trailer here: https://youtu.be/GrVNwqbH0kA Please visit our show page: anchor.fm/kuribosshoepodcast Please subscribe on iTunes or Apple Podcasts: itunes.apple.com/us/podcast/kuribos-shoe-podcast/id1370389497?mt=2 We are on Google Podcasts: www.google.com/podcasts?feed=aHR0cHM6Ly9hbmNob3IuZm0vcy8xNDhmNzNjL3BvZGNhc3QvcnNz We are on Spotify: open.spotify.com/show/6kmTTc8XUYtYJgBWNPJmaD We are on Pocket Casts on iOS & Android: pca.st/t0pS We are on Overcast: overcast.fm/itunes1370389497/kuribos-shoe-podcast Please follow us on Twitter: twitter.com/KuribosShoePod Please follow us on Instagram: www.instagram.com/kuribosshoepodcast/ If you enjoy the show, please rate us on the Apple Podcasts App & the Google Podcasts App! On this week's episode, we finish up our top 10 favorite Nintendo games! Please visit our show page: anchor.fm/kuribosshoepodcast Please subscribe on iTunes or Apple Podcasts: itunes.apple.com/us/podcast/kuribos-shoe-podcast/id1370389497?mt=2 We are on Google Podcasts: www.google.com/podcasts?feed=aHR0cHM6Ly9hbmNob3IuZm0vcy8xNDhmNzNjL3BvZGNhc3QvcnNz We are on Spotify: open.spotify.com/show/6kmTTc8XUYtYJgBWNPJmaD We are on Pocket Casts on iOS & Android: pca.st/t0pS We are on Overcast: overcast.fm/itunes1370389497/kuribos-shoe-podcast Please follow us on Twitter: twitter.com/KuribosShoePod Please follow us on Instagram: www.instagram.com/kuribosshoepodcast/ If you enjoy the show, please rate us on the Apple Podcasts App & the Google Podcasts App! On this week's episode, we talk about our Top 10 favorite Nintendo games. We get through numbers 10 through 6 on this episode. Tune in next week for numbers 5 through 1! Please visit our show page: anchor.fm/kuribosshoepodcast Please subscribe on iTunes or Apple Podcasts: itunes.apple.com/us/podcast/kuribos-shoe-podcast/id1370389497?mt=2 We are on Google Podcasts: www.google.com/podcasts?feed=aHR0cHM6Ly9hbmNob3IuZm0vcy8xNDhmNzNjL3BvZGNhc3QvcnNz We are on Spotify: open.spotify.com/show/6kmTTc8XUYtYJgBWNPJmaD We are on Pocket Casts on iOS & Android: pca.st/t0pS We are on Overcast: overcast.fm/itunes1370389497/kuribos-shoe-podcast Please follow us on Twitter: twitter.com/KuribosShoePod Please follow us on Instagram: www.instagram.com/kuribosshoepodcast/ If you enjoy the show, please rate us on the Apple Podcasts App & the Google Podcasts App! On this week's episode, we talk all about the Super Smash Bros. Ultimate Direct that Nintendo released on Wednesday. It's safe to say that it swayed our opinion of this release! You can watch the Smash Bros. Direct here: https://www.youtube.com/watch?v=P-kQWJrjRV4 Please visit our show page: anchor.fm/kuribosshoepodcast Please subscribe on iTunes or Apple Podcasts: itunes.apple.com/us/podcast/kuribos-shoe-podcast/id1370389497?mt=2 We are on Google Podcasts: www.google.com/podcasts?feed=aHR0cHM6Ly9hbmNob3IuZm0vcy8xNDhmNzNjL3BvZGNhc3QvcnNz We are on Spotify: open.spotify.com/show/6kmTTc8XUYtYJgBWNPJmaD We are on Pocket Casts on iOS & Android: pca.st/t0pS We are on Overcast: overcast.fm/itunes1370389497/kuribos-shoe-podcast Please follow us on Twitter: twitter.com/KuribosShoePod Please follow us on Instagram: www.instagram.com/kuribosshoepodcast/ If you enjoy the show, please rate us on the Apple Podcasts App & the Google Podcasts App! 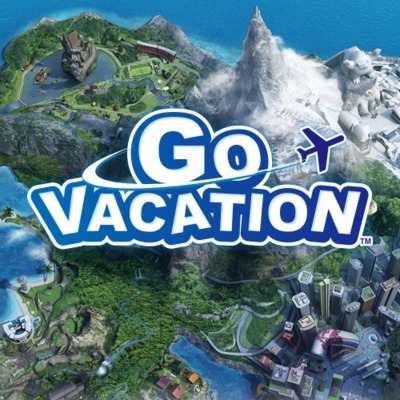 On this week's episode we talk about all of the games we have been playing, the latest news, and our main topic, Go Vacation! Please visit our show page: anchor.fm/kuribosshoepodcast Please subscribe on iTunes or Apple Podcasts: itunes.apple.com/us/podcast/kuribos-shoe-podcast/id1370389497?mt=2 We are on Google Podcasts: www.google.com/podcasts?feed=aHR0cHM6Ly9hbmNob3IuZm0vcy8xNDhmNzNjL3BvZGNhc3QvcnNz We are on Spotify: https://open.spotify.com/show/6kmTTc8XUYtYJgBWNPJmaD We are on Pocket Casts on iOS & Android: pca.st/t0pS We are on Overcast: overcast.fm/itunes1370389497/kuribos-shoe-podcast Please follow us on Twitter: twitter.com/KuribosShoePod Please follow us on Instagram: www.instagram.com/kuribosshoepodcast/ If you enjoy the show, please rate us on the Apple Podcasts App & the Google Podcasts App! On this week's episode we talk about all of the games we have been playing, the latest news, and we bring back character spotlight. Please visit our show page: anchor.fm/kuribosshoepodcast Please subscribe on iTunes or Apple Podcasts: itunes.apple.com/us/podcast/kuribos-shoe-podcast/id1370389497?mt=2 We are on Google Podcasts: www.google.com/podcasts?feed=aHR0cHM6Ly9hbmNob3IuZm0vcy8xNDhmNzNjL3BvZGNhc3QvcnNz We are on Spotify: https://open.spotify.com/show/6kmTTc8XUYtYJgBWNPJmaD We are on Pocket Casts on iOS & Android: pca.st/t0pS We are on Overcast: overcast.fm/itunes1370389497/kuribos-shoe-podcast Please follow us on Twitter: twitter.com/KuribosShoePod Please follow us on Instagram: www.instagram.com/kuribosshoepodcast/ If you enjoy the show, please rate us on the Apple Podcasts App & the Google Podcasts App! 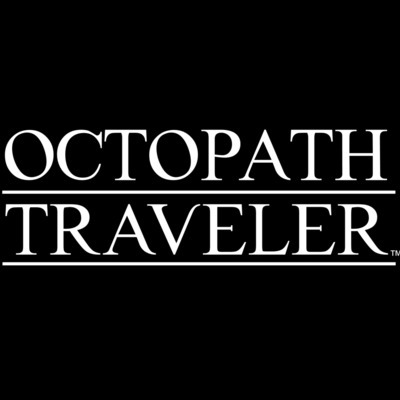 On this week's episode we talk all about Octopath Traveler! Please visit our show page: anchor.fm/kuribosshoepodcast Please subscribe on iTunes or Apple Podcasts: itunes.apple.com/us/podcast/kuribos-shoe-podcast/id1370389497?mt=2 We are on Google Podcasts: www.google.com/podcasts?feed=aHR0cHM6Ly9hbmNob3IuZm0vcy8xNDhmNzNjL3BvZGNhc3QvcnNz We are on Spotify: https://open.spotify.com/show/6kmTTc8XUYtYJgBWNPJmaD We are on Pocket Casts on iOS & Android: pca.st/t0pS We are on Overcast: overcast.fm/itunes1370389497/kuribos-shoe-podcast Please follow us on Twitter: twitter.com/KuribosShoePod Please follow us on Instagram: www.instagram.com/kuribosshoepodcast/ If you enjoy the show, please rate us on the Apple Podcasts App & the Google Podcasts App! On this week's episode, we talk about what we have been playing as well as our gaming setups! 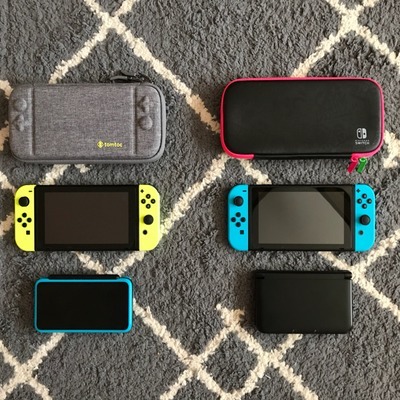 Check out all of the joy-con combinations here: https://www.nintendo.com/switch/choose-your-joy-con-color/ Deluxe Travel Case: http://a.co/ik9RMOM Tomtoc Portable Case: http://a.co/3GjEOgn Switch Backpack: http://a.co/c3mWdWG Hybrid Cover: http://a.co/7Ki6nYs Please visit our show page: anchor.fm/kuribosshoepodcast Please subscribe on iTunes or Apple Podcasts: itunes.apple.com/us/podcast/kuribos-shoe-podcast/id1370389497?mt=2 We are on Google Podcasts: www.google.com/podcasts?feed=aHR0cHM6Ly9hbmNob3IuZm0vcy8xNDhmNzNjL3BvZGNhc3QvcnNz We are on Pocket Casts on iOS & Android: pca.st/t0pS We are on Overcast: overcast.fm/itunes1370389497/kuribos-shoe-podcast Please follow us on Twitter: twitter.com/KuribosShoePod Please follow us on Instagram: www.instagram.com/kuribosshoepodcast/ If you enjoy the show, please rate us on iTunes, the Apple Podcasts App & the Google Podcasts App! On this week's episode, we talk about what we have been playing as well as discuss some of our unpopular gaming opinions! Please visit our show page: anchor.fm/kuribosshoepodcast Please subscribe on iTunes or Apple Podcasts: itunes.apple.com/us/podcast/kuribos-shoe-podcast/id1370389497?mt=2 We are on Google Podcasts: www.google.com/podcasts?feed=aHR0cHM6Ly9hbmNob3IuZm0vcy8xNDhmNzNjL3BvZGNhc3QvcnNz We are on Pocket Casts on iOS & Android: pca.st/t0pS We are on Overcast: overcast.fm/itunes1370389497/kuribos-shoe-podcast Please follow us on Twitter: twitter.com/KuribosShoePod Please follow us on Instagram: www.instagram.com/kuribosshoepodcast/ If you enjoy the show, please rate us on iTunes, the Apple Podcasts App & the Google Podcasts App! 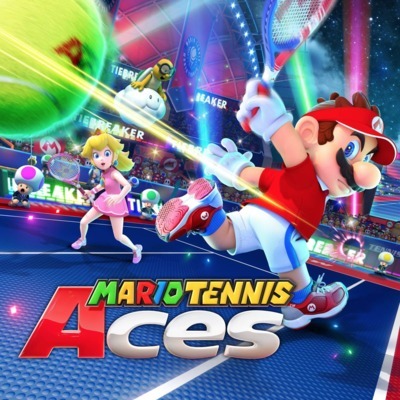 On this week's episode, What have we been playing, Character Spotlight, & Mario Tennis Aces! Please visit our show page: anchor.fm/kuribosshoepodcast Please subscribe on iTunes or Apple Podcasts: itunes.apple.com/us/podcast/kuribos-shoe-podcast/id1370389497?mt=2 We are on Google Podcasts: www.google.com/podcasts?feed=aHR0cHM6Ly9hbmNob3IuZm0vcy8xNDhmNzNjL3BvZGNhc3QvcnNz We are on Pocket Casts on iOS & Android: pca.st/t0pS We are on Overcast: overcast.fm/itunes1370389497/kuribos-shoe-podcast Please follow us on Twitter: twitter.com/KuribosShoePod Please follow us on Instagram: www.instagram.com/kuribosshoepodcast/ If you enjoy the show, please rate us on iTunes, the Apple Podcasts App & the Google Podcasts App! On this week's episode, Chad & I talk about what we have been playing & talk about the Octo Expansion DLC for Splatoon 2. Also, the Character Spotlight segment returns! Please visit our show page: anchor.fm/kuribosshoepodcast Please subscribe on iTunes or Apple Podcasts: itunes.apple.com/us/podcast/kuribos-shoe-podcast/id1370389497?mt=2 We are on Google Podcasts: https://www.google.com/podcasts?feed=aHR0cHM6Ly9hbmNob3IuZm0vcy8xNDhmNzNjL3BvZGNhc3QvcnNz We are on Pocket Casts on iOS & Android: pca.st/t0pS We are on Overcast: overcast.fm/itunes1370389497/kuribos-shoe-podcast Please follow us on Twitter: twitter.com/KuribosShoePod Please follow us on Instagram: www.instagram.com/kuribosshoepodcast/ If you enjoy the show, please rate us on iTunes, the Apple Podcasts App & the Google Podcasts App! On this week's episode, Chad & I talk about what we have been playing as well as discuss all of Nintendo's announcements from E3 2018! 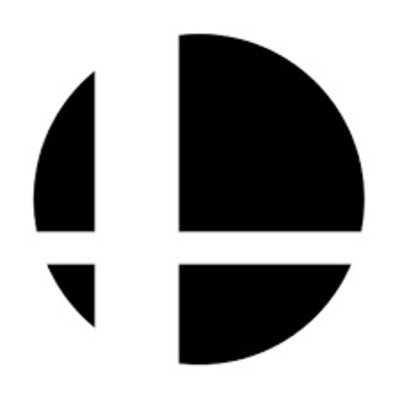 You can see all of Nintendo's E3 videos on their YouTube channel here: https://www.youtube.com/nintendo You can visit the Super Smash Bros. 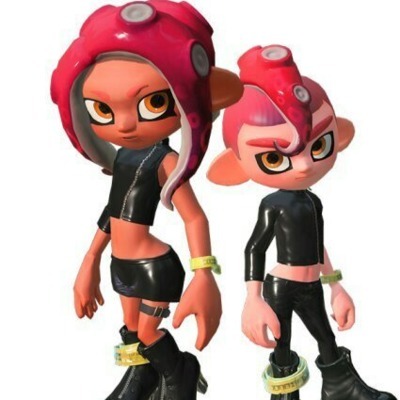 Ultimate website here: https://www.smashbros.com/en_US/index.html You can see the new Octoling Amiibo here: https://nintendoeverything.com/splatoon-2-new-octoling-amiibo-revealed/ Please visit our show page: anchor.fm/kuribosshoepodcast Please subscribe on iTunes or Apple Podcasts: itunes.apple.com/us/podcast/kuribos-shoe-podcast/id1370389497?mt=2 We are on Pocket Casts on iOS & Android: pca.st/t0pS We are on Overcast: overcast.fm/itunes1370389497/kuribos-shoe-podcast Please follow us on Twitter: twitter.com/KuribosShoePod Please follow us on Instagram: www.instagram.com/kuribosshoepodcast/ If you enjoy the show, please rate us on iTunes or the Apple Podcasts App! On this week's episode, Chad & I talk about what we have been playing, unveil an all new segment called Character Spotlight, and talk about the upcoming E3 2018! 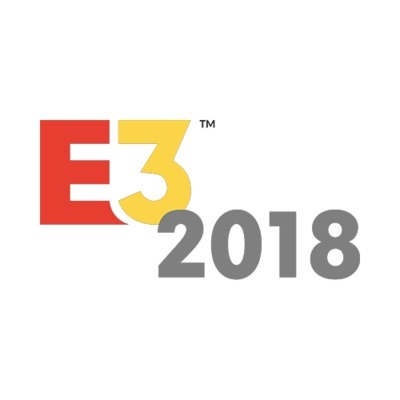 You can see all of Nintendo's E3 Schedule here: https://e3.nintendo.com You can see the rumored E3 floor plan here: https://kotaku.com/new-leak-suggests-that-fortnite-is-coming-to-switch-1826468199 You can check out the exclusive pin Nintendo is handing out here: https://nintendosoup.com/a-look-at-the-nintendo-e3-2018-pin/ Please visit our show page: anchor.fm/kuribosshoepodcast Please subscribe on iTunes or Apple Podcasts: itunes.apple.com/us/podcast/kuribos-shoe-podcast/id1370389497?mt=2 We are on Pocket Casts on iOS & Android: pca.st/t0pS We are on Overcast: overcast.fm/itunes1370389497/kuribos-shoe-podcast Please follow us on Twitter: twitter.com/KuribosShoePod Please follow us on Instagram: www.instagram.com/kuribosshoepodcast/ If you enjoy the show, please rate us on iTunes or the Apple Podcasts App! Episode 8: Pokémon: Let's Go! 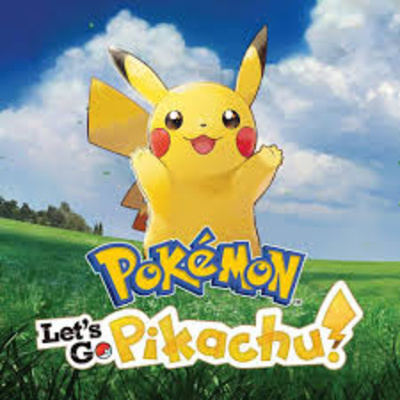 On this week's episode, Chad & I talk about what we have been playing as well as our main topic: Pokémon Let's Go Pikachu Edition & Eevee Edition which were just announced for the Nintendo Switch. 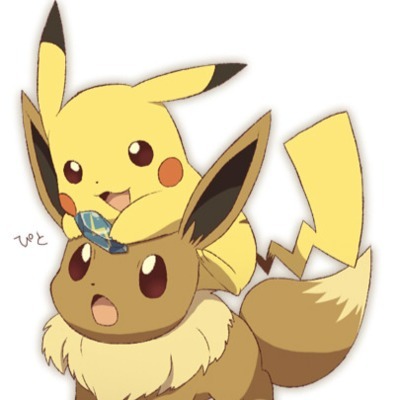 You can learn more about Pokémon Let's Go Pikachu Edition & Eevee Edition here: https://pokemonletsgo.pokemon.com/en-us/ You can watch the trailer here: https://www.youtube.com/watch?v=9jRtpMKLsts Please visit our show page: anchor.fm/kuribosshoepodcast Please subscribe on iTunes or Apple Podcasts: itunes.apple.com/us/podcast/kuribos-shoe-podcast/id1370389497?mt=2 We are on Pocket Casts on iOS & Android: pca.st/t0pS We are on Overcast: overcast.fm/itunes1370389497/kuribos-shoe-podcast Please follow us on Twitter: twitter.com/KuribosShoePod Please follow us on Instagram: www.instagram.com/kuribosshoepodcast/ If you enjoy the show, please rate us on iTunes or the Apple Podcasts App. It would mean so much! On today's episode, Chad & I talk about what we have been playing as well as our main topic: Hyrule Warriors Definitive Edition for the Nintendo Switch. 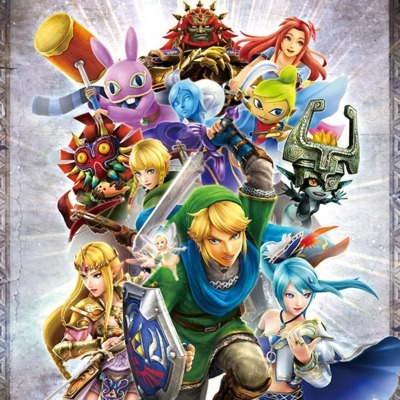 You can learn more about Hyrule Warriors Definitive Edition Here: https://www.zelda.com/hyrule-warriors/?gclid=CImWr_CxndsCFTqTxQIdWJwK9w&gclsrc=ds Please visit our show page: anchor.fm/kuribosshoepodcast Please subscribe on iTunes or Apple Podcasts: itunes.apple.com/us/podcast/kuribos-shoe-podcast/id1370389497?mt=2 We are on Pocket Casts on iOS & Android: pca.st/t0pS We are on Overcast: overcast.fm/itunes1370389497/kuribos-shoe-podcast Please follow us on Twitter: twitter.com/KuribosShoePod Please follow us on Instagram: www.instagram.com/kuribosshoepodcast/ If you enjoy the show, please rate us on iTunes or the Apple Podcasts App. It would mean so much! On today's episode, Chad & I talk about what we have been playing as well as a ton of news & rumors regarding upcoming games for the Switch. Please visit our show page: anchor.fm/kuribosshoepodcast Please subscribe on iTunes or Apple Podcasts: itunes.apple.com/us/podcast/kuribos-shoe-podcast/id1370389497?mt=2 We are on Pocket Casts on iOS & Android: pca.st/t0pS We are on Overcast: overcast.fm/itunes1370389497/kuribos-shoe-podcast Please follow us on Twitter: twitter.com/KuribosShoePod Please follow us on Instagram: www.instagram.com/kuribosshoepodcast/ If you enjoy the show, please rate us on iTunes or the Apple Podcasts App. It would mean so much! On today's episode, Chad & I discuss some ways that the Nintendo Switch could be improved. We hope you enjoy it! Please visit our show page: anchor.fm/kuribosshoepodcast Please subscribe on iTunes or Apple Podcasts: itunes.apple.com/us/podcast/kuribos-shoe-podcast/id1370389497?mt=2 We are on Pocket Casts on iOS & Android: pca.st/t0pS We are on Overcast: overcast.fm/itunes1370389497/kuribos-shoe-podcast Please follow us on Twitter: twitter.com/KuribosShoePod Please follow us on Instagram: www.instagram.com/kuribosshoepodcast/ If you enjoy the show, please rate us on iTunes or the Apple Podcasts App. It would mean so much! Episode 3 : Good Hang or Tough Hang? 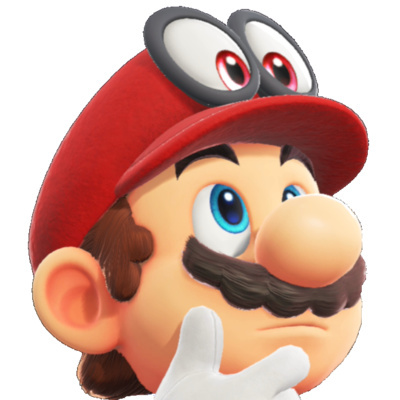 On today's episode, Chad & I discuss whether certain Nintendo characters would be a good hang or a tough hang. We had a lot of fun recording this one and we hope you enjoy it! Please visit our show page: https://anchor.fm/kuribosshoepodcast Please subscribe on iTunes or Apple Podcasts: https://itunes.apple.com/us/podcast/kuribos-shoe-podcast/id1370389497?mt=2 We are on Pocket Casts on iOS & Android: http://pca.st/t0pS We are on Overcast: https://overcast.fm/itunes1370389497/kuribos-shoe-podcast Please follow us on Twitter: https://twitter.com/KuribosShoePod Please follow us on Instagram: https://www.instagram.com/kuribosshoepodcast/ If you enjoy the show, please rate us on iTunes or the Apple Podcasts App. It would mean so much! 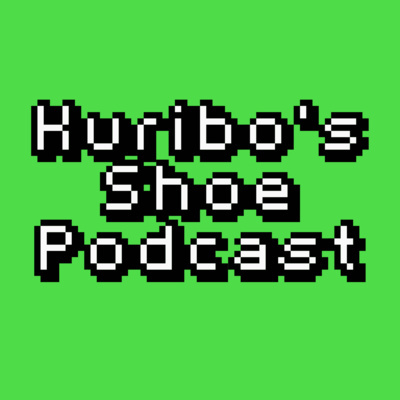 Welcome to Episode 2 of the Kuribo's Shoe Podcast! On this episode, Chad & I discuss our most anticipated games for the Nintendo Switch, both announced & unannounced. Please visit our show page: https://anchor.fm/kuribosshoepodcast Please subscribe on iTunes or Apple Podcasts: https://itunes.apple.com/us/podcast/kuribos-shoe-podcast/id1370389497?mt=2 We are on Pocket Casts on iOS & Android: http://pca.st/t0pS We are on Overcast: https://overcast.fm/itunes1370389497/kuribos-shoe-podcast Please follow us on Twitter: https://twitter.com/KuribosShoePod Please follow us on Instagram: https://www.instagram.com/kuribosshoepodcast/ If you enjoy the show, please rate us on iTunes or the Apple Podcasts App. It would mean so much! On today's episode, Chad & I discuss Splatoon 2 and what's been going on with the game recently. We hope you enjoy it! 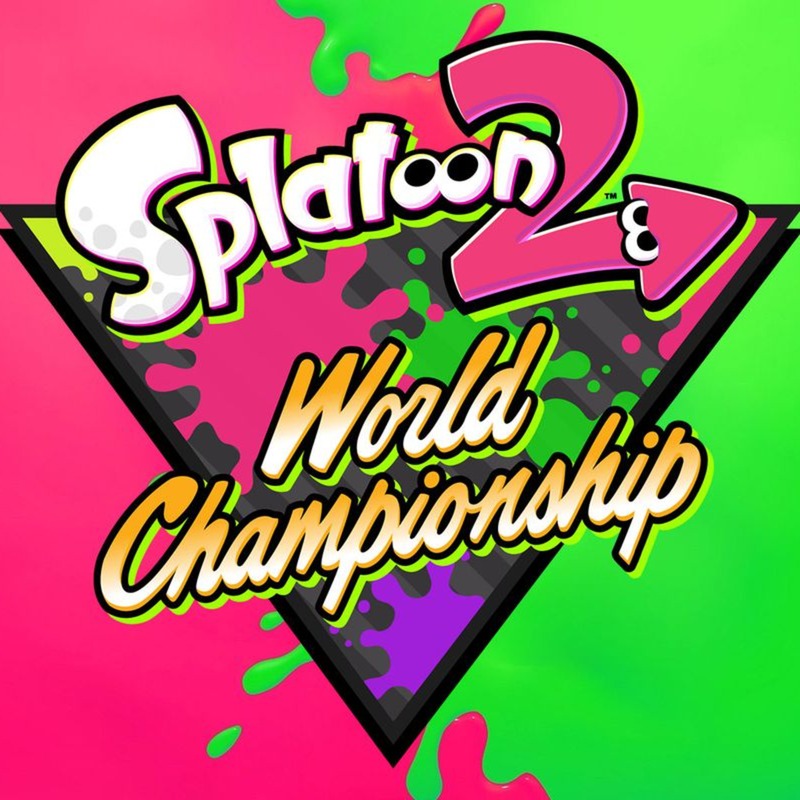 You can watch the Inkling Open 2018 Finals here: https://www.youtube.com/watch?v=EtgQwAg4iWc You can find information about the Splatoon 2 World Championships at: https://e3.nintendo.com/ Please visit our show page: anchor.fm/kuribosshoepodcast Please subscribe on iTunes or Apple Podcasts: itunes.apple.com/us/podcast/kuribos-shoe-podcast/id1370389497?mt=2 We are on Pocket Casts on iOS & Android: pca.st/t0pS We are on Overcast: overcast.fm/itunes1370389497/kuribos-shoe-podcast Please follow us on Twitter: twitter.com/KuribosShoePod Please follow us on Instagram: www.instagram.com/kuribosshoepodcast/ If you enjoy the show, please rate us on iTunes or the Apple Podcasts App. It would mean so much! 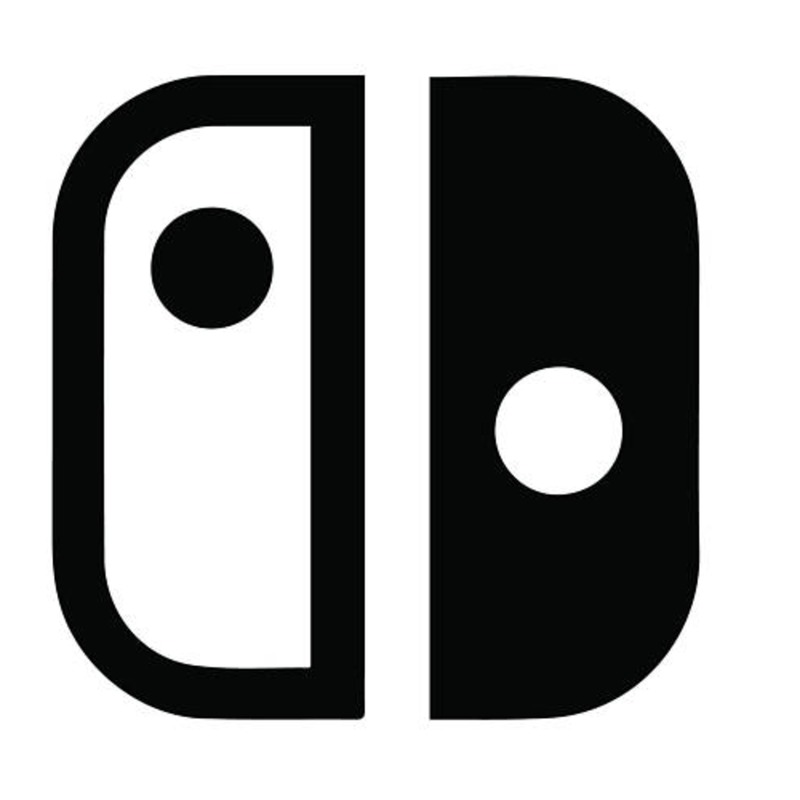 On Episode 1 of the Kuribo's Shoe Podcast, my very special guest Chad & I discuss the history of the Nintendo Switch after year one as well as our top 5 Nintendo Switch Games released so far! We hope you enjoy! Please subscribe on Apple Podcasts: https://itunes.apple.com/us/podcast/kuribos-shoe-podcast/id1370389497?mt=2 We are also on Pocket Casts on iOS & Android: http://pca.st/t0pS Please follow us on twitter! : https://twitter.com/KuribosShoePod If you enjoy the show, please rate us on iTunes or the Apple Podcasts App. It would mean so much! Welcome to Episode 0 of the Kuribo’s Shoe Podcast! This is a brief introduction introducing myself and the premise of this podcast. Please subscribe if you are interested! Episode 1 is coming soon.